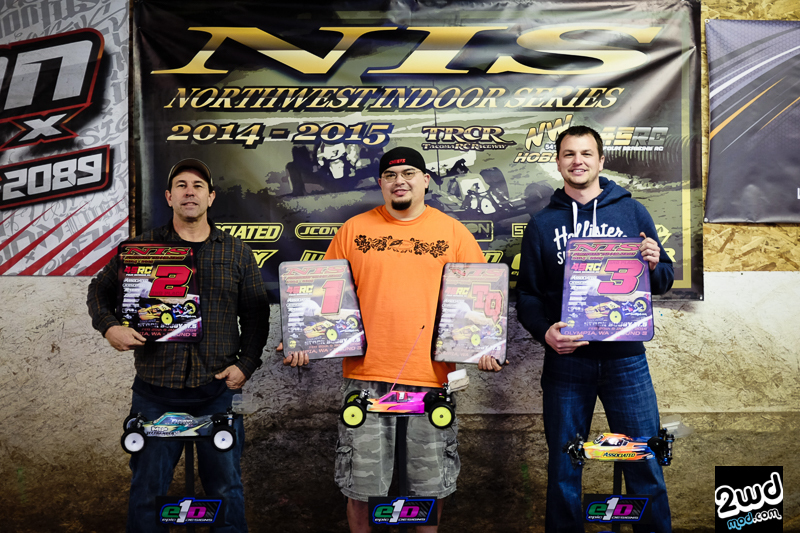 Epic, Controversial Photo Finish at the NIS rd 3!! 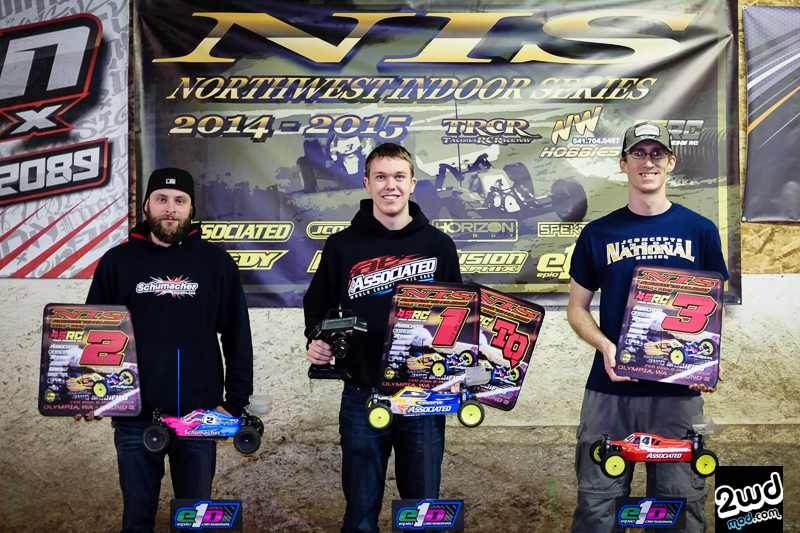 On Feb. 24th – March 1st, saw the continuation of the highly competitive Northwest Indoor Series make its way to Four Seasons’ Raceway in Olympia, Washington for round 3 of the glorious pacific northwest racing series. 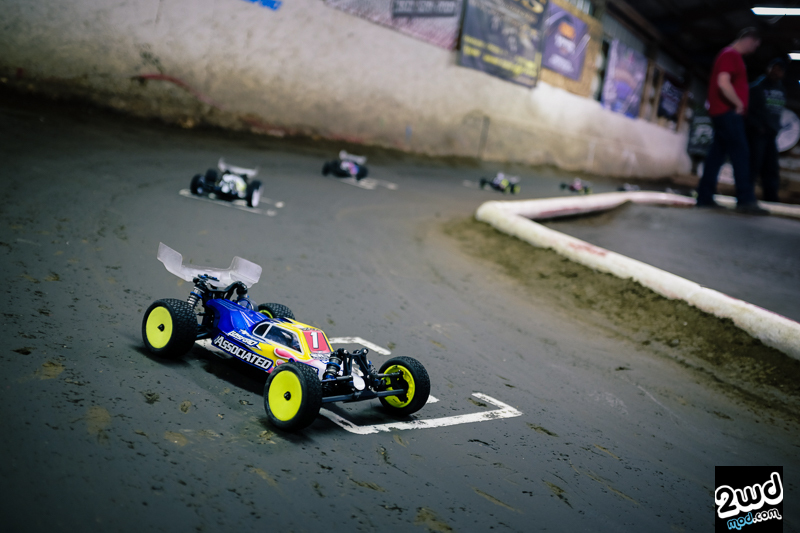 With 2 races already in the books, this 3rd race proved to be a pivotal weekend for all racers as there are no drops making each race vital for points in deciding the overall champion in each class. One bad race and your chances are out the window. One great race finish can catapult you up the standings and put you right there in the mix for the title hunt as all classes are still undecided. 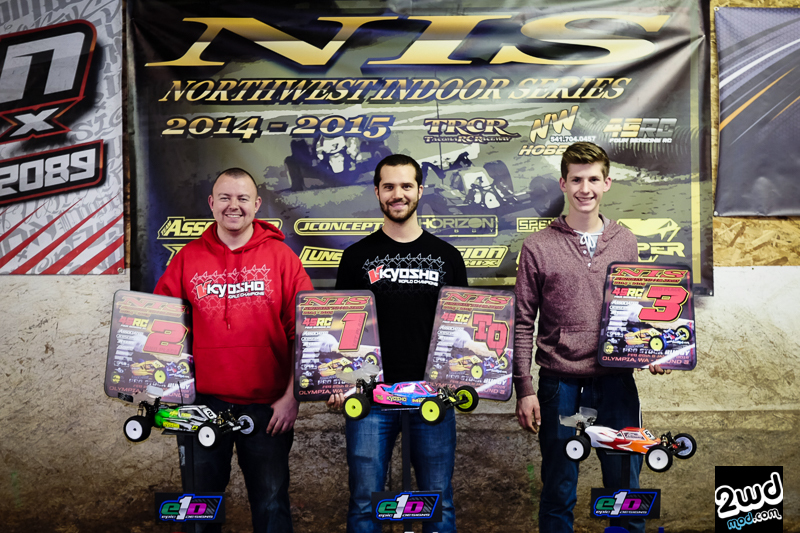 The NIS standard format is doors opening for controlled practice on Saturday at 8am, which proceeds until 2:30pm. From there, a short drivers meeting and then straight into 2 rounds of qualifying. On Sunday, morning practice starts at 7am for an hour and then directly into the final round of qualifying. Taking only the best 2 of 3 runs to set up the triple A-mains for all the classes, the event was destined to find some great racing all weekend long. 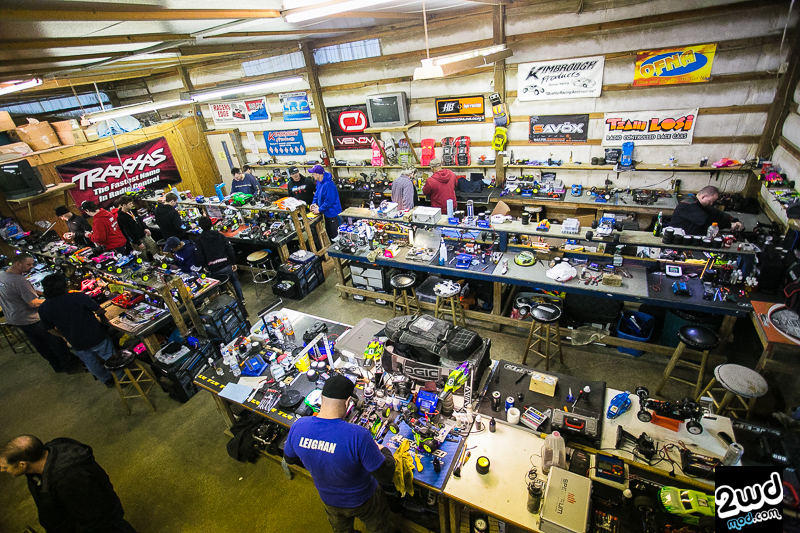 This year’s layout was a re-pop of a track layout that was once seen in 2012 during the former “Showdown” days with a few minor changes. The flow was fantastic as everyone was able to manage good, clean laps without a lot of issues making it VERY close in qualifying. This year’s track was fun and flowy that came down to consistency rather than raw speed. 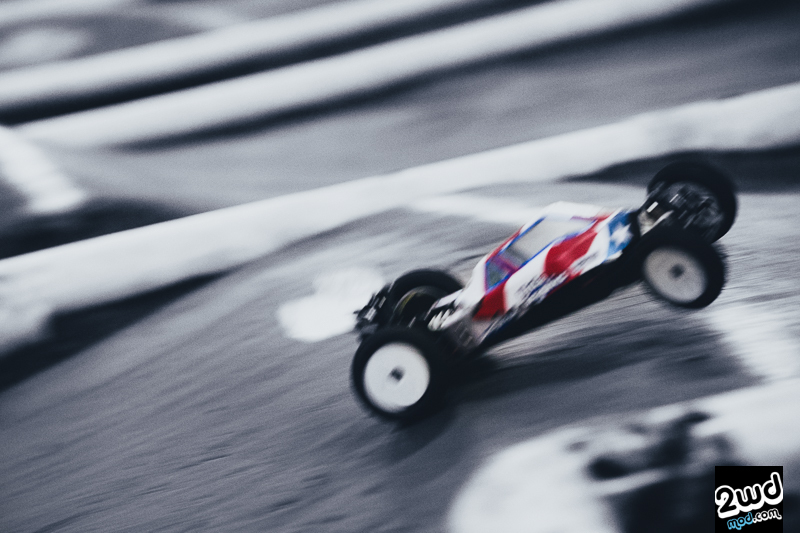 During open practice, the grip was quite low and everyone was struggling for traction and steering, but as the day progressed and laps were getting laid, the groove came up along with the consistency that improved laps times dramatically. Simultaneously with the increasing grip, consistency became the great equalizer as most drivers were on the same pace and the only difference was the number of mistakes each driver would make. The racing was so close that 1 mistake could mean the difference of starting high up in the A main or down in the middle of the B. It was that close! 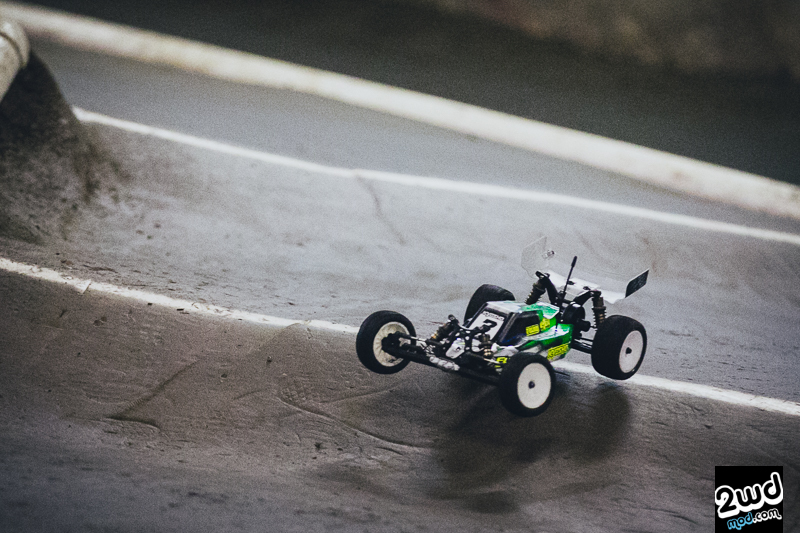 A dialed lap wasn’t hard to do, unlike it was in rd 2 at NW hobbies, but running clean for the entire 5 minutes was the greater challenge. Here are the racing results for the weekend below. 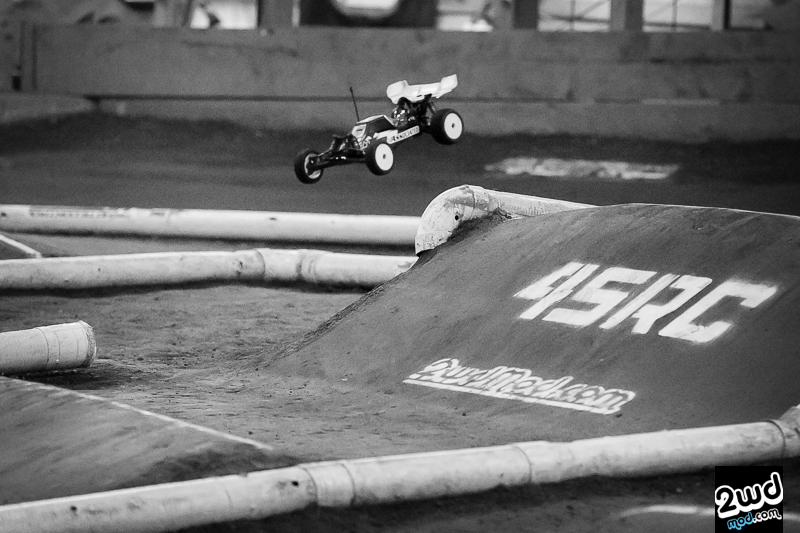 The opening round of qualifying saw a big surprise by Kyosho/Orion/JConcepts’ Tanner Day taking a controversial TQ in Q1. 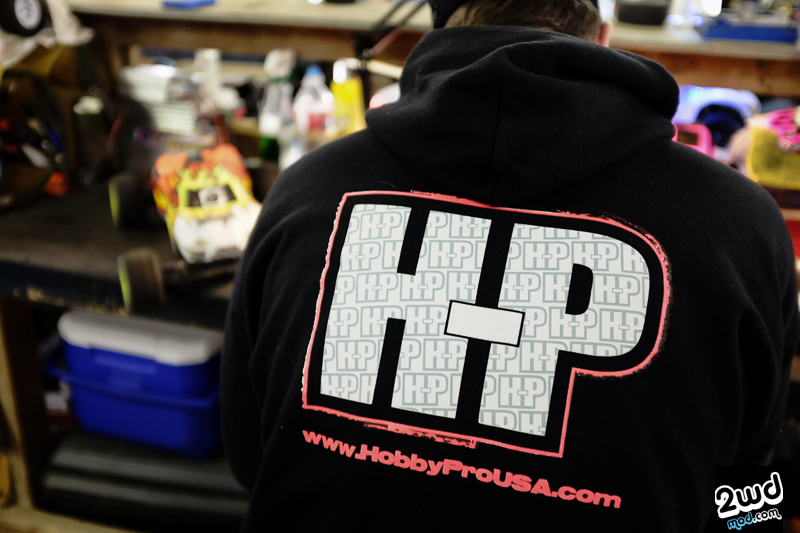 The current points leader, Team Associated/Reedy/JConcepts’ Michael Schoettler, set the early TQ in Q1. 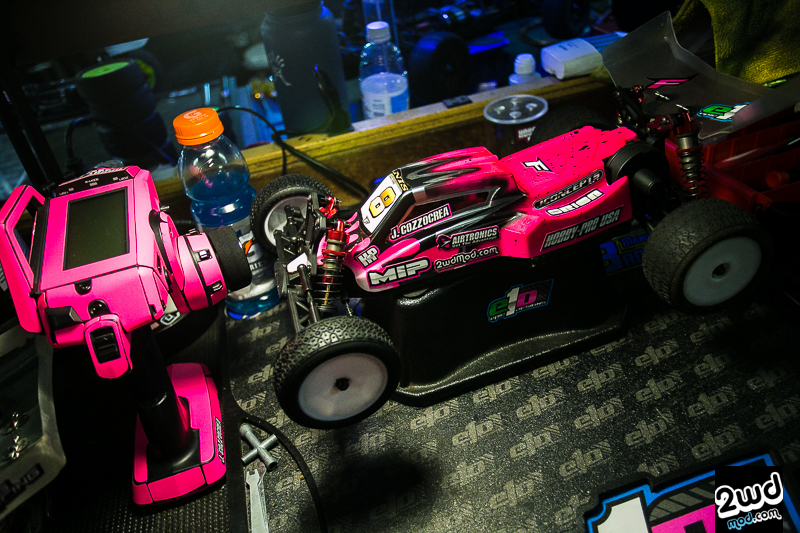 However in the very next heat, Day would set off on a blistering pace that was 3 seconds under Schoettler’s TQ time. Slowly, the pace was too great for young Day to maintain as he was slowly slipping back losing a tenth here and a tenth there. After 5 minutes was up, Day managed to stay under Schoettler’s TQ time by a small margin of only . 3 seconds on his final lap. 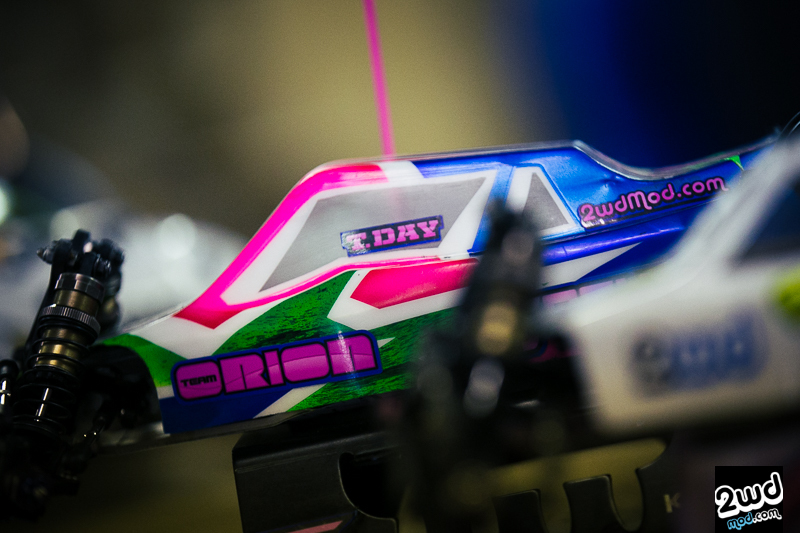 Before crossing the finish line to take TQ, Day would get on the straightaway totally punched and throw his car into the sweeper to try and clinch the Q1 TQ. Unfortunately, Day would clip the inside pipe going into the sweeper and flip his car in the air across the finish line slamming the wall in spectacular fashion. With all eyes on the projector looking for the finishing time, the final lap was uncounted! 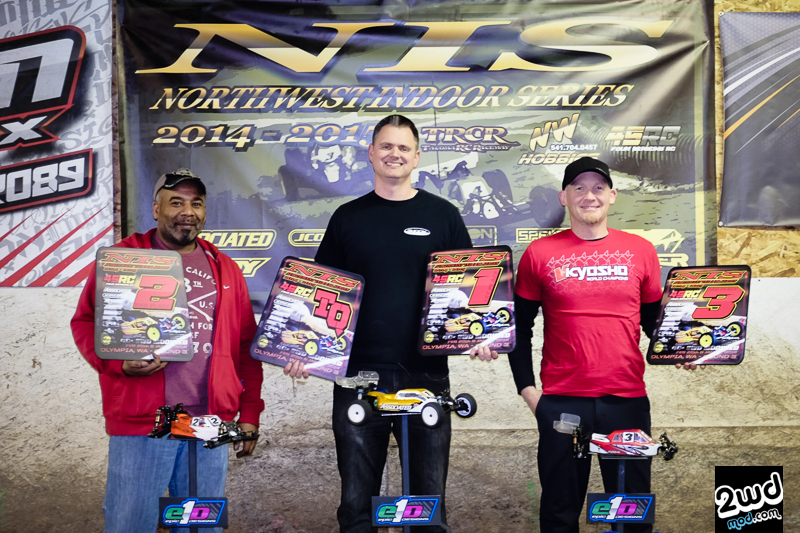 The call was up to the RD, NW legend and experienced track owner Scott Brown, who decided in favor of Tanner Day and gave the Q1 TQ to the 16 year old Kyosho driver. 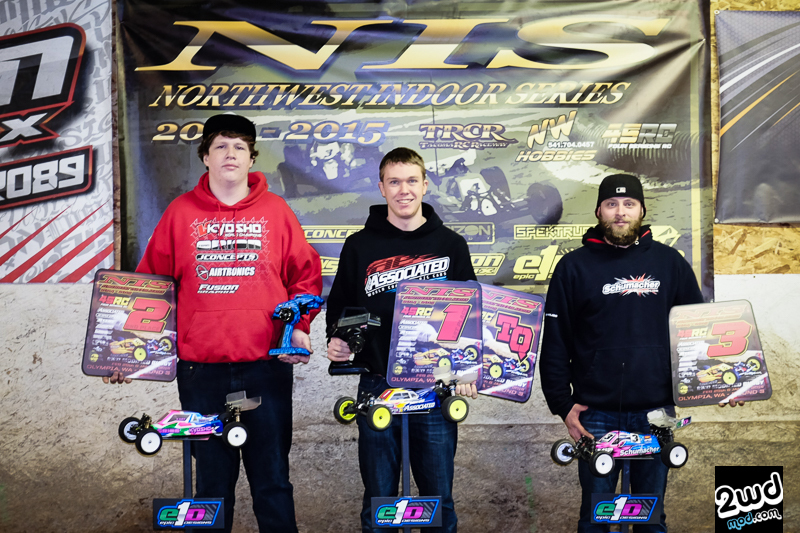 For the first time, Schoettler’s perfect run of TQ’s in 2wdMod buggy during the NIS was broken. 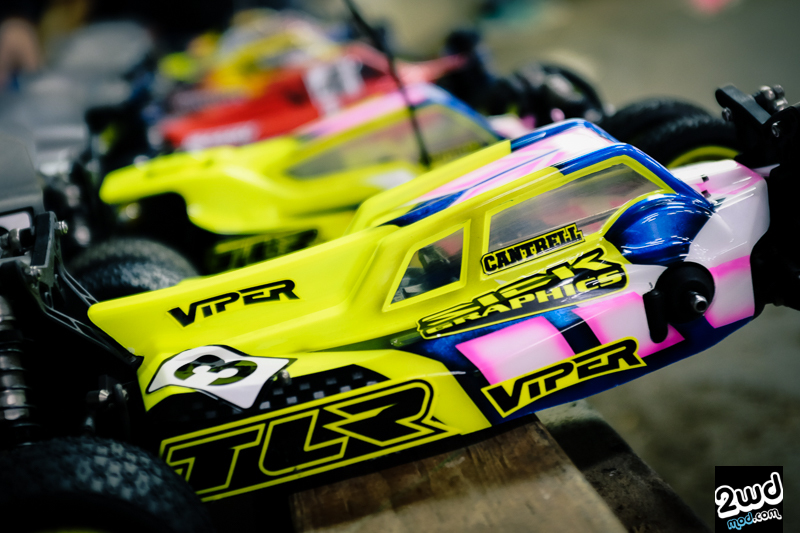 In round 2, carving his way through the field like a master surgeon, Schoettler came back with a vengeance and destroyed the competition to earn TQ in rounds 2 and 3 and taking the overall TQ in the modified buggy class. Tanner Day would start 2nd on the grid with Schumacher’s Mikey Brown sitting closely in 3rd to setup for a fierce rivalry between the top 3 drivers in the triple A-mains. 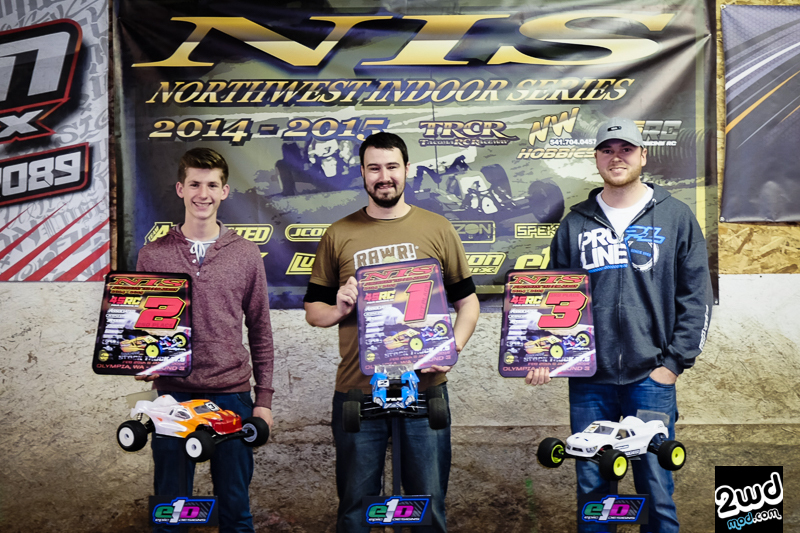 With all eyes on the top 3 in 2wdMod buggy, the highly anticipated A1 started nose to tail between Schoettler’s B5M, Day’s RB6, and Brown’s KF. For nearly 2 minutes, the spectators witnessed flawless driving between the 3 NIS rivals. Slowly but surely, the top two would pull away from the field and entertain a battle of their own. After 3 minutes, the gap to 2nd was still under 2 seconds with Day still charging hard hoping to capitalize on a mistake by Schoettler, but it never happened. 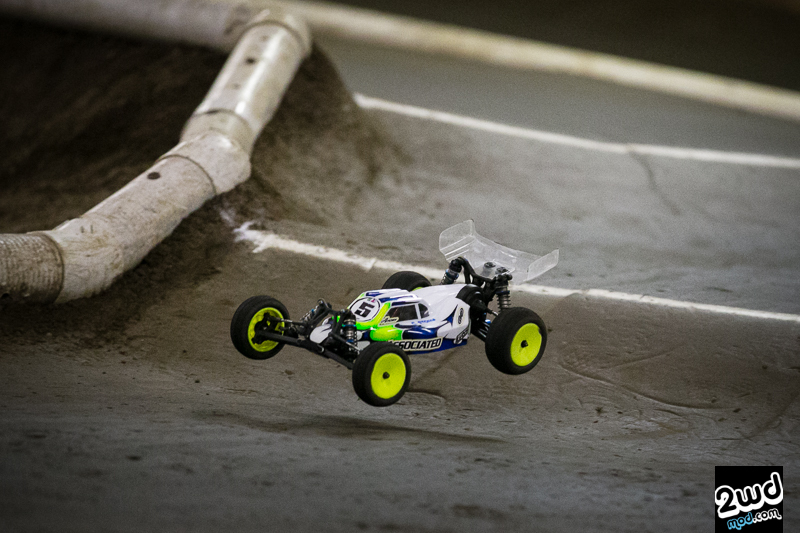 Flawless, classic, precision driving displayed by Schoettler, the Team Associated/Reedy/JConcepts driver would pull away slightly after each lap. 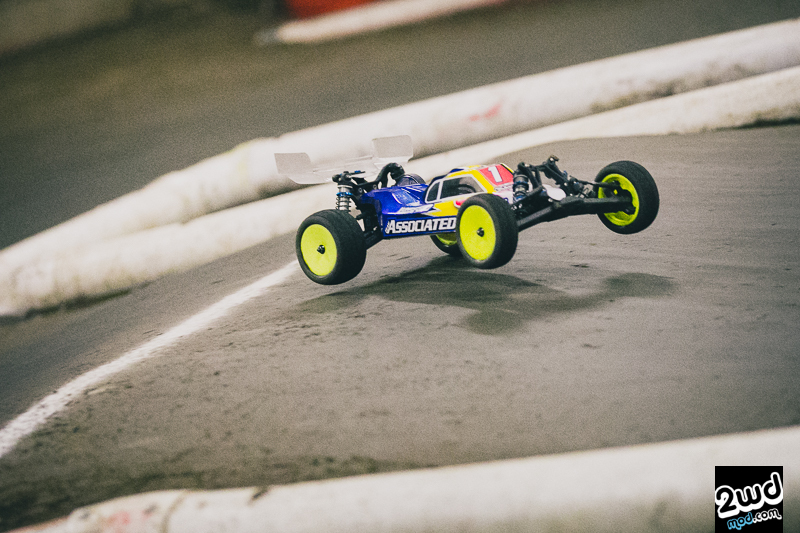 After 6 minutes and without a mistake, Schoettler would take the A1 win in style by a comfortable margin just over 4 seconds. Day would finish with a strong 2nd place finish with Mikey Brown in 3rd. 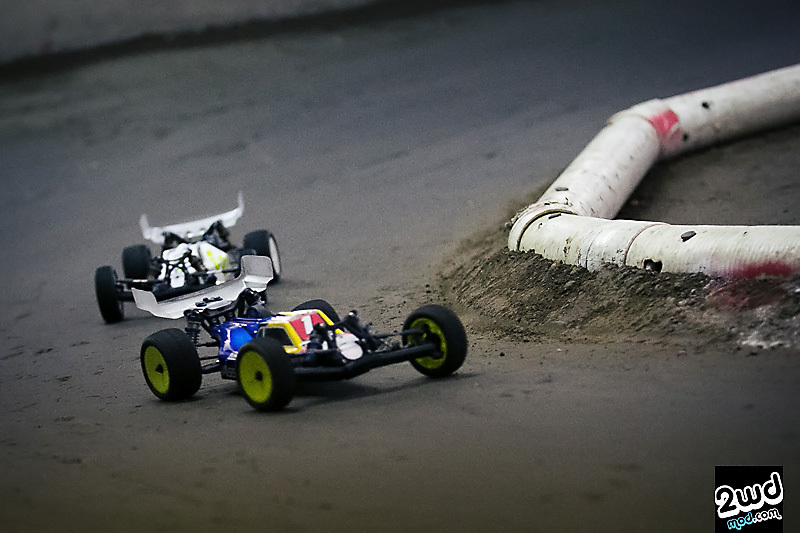 A2 started in similar fashion to A1 with the top 3 drivers slowly pulling away from the rest of the field. 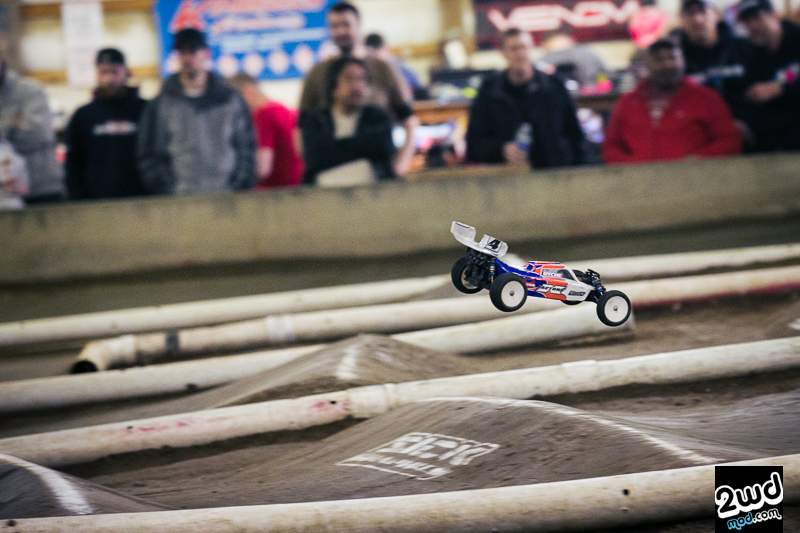 This time however, Kyosho’s Tanner Day and Schumacher’s Mikey Brown had a different game plan and that was to attack from the very start and not allow Schoettler to get into a rhythm and gap the field like he was able to do in A1. The intensity was electrifying as all 3 drivers were bumper to bumper throughout the entire race. In so many corners, the 3 aces were so close that it looked like they would inevitably collide, but like kung fu masters, they would control their speed and not cause a pile up that could result in the rest of the field catching up. Once again, it would appear as if Michael had a touch more speed and start to slowly pull away in the final minutes to leave the battle between 2nd and 3rd. With Day in 2nd, he was able to cover his lines and put his head down and charge after Schoettler and put a small gap between him and 3rd place car, Mikey Brown. On the last lap, an uncharacteristic mental mistake by Schoettler would result in a crash that allowed Day to slip past and take over the lead on the last lap! Recovering from his “overly relaxed mess up,” Schoettler would find himself right behind the new leader and push maximum till the very end. On the final sequence on the right side of the track, lap track played a factor for Day as he was only able to single, single, single his way onto the straightaway while Schoettler took the normal line of single, double. This would put Schoettler right on the back bumper coming on the straight carrying more speed. With no time left on the clock, it was a drag race down the straightaway with Schoettler’s car coming on hotter. Schoettler saw a sliver of an opening and with nothing to loose on a ‘Hail Mary’ last lap, last corner pass for the win, Schoettler sent it in! 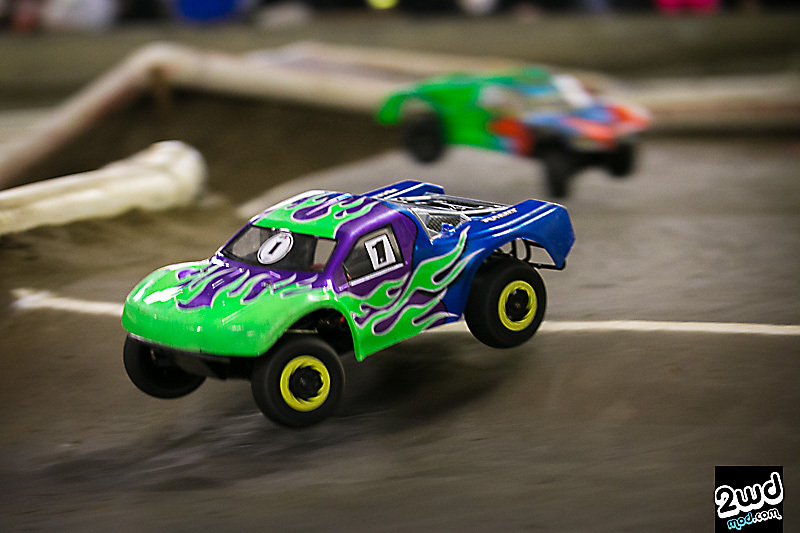 With impossible accuracy and timing, Schoettler would put his car side by side on the inside of Day’s banging wheel to wheel and pushing both cars into the wall in a crazy photo finish explosion! The cars literally erupted! The crowd went wild and much like earlier in the very controversial Q1 TQ, everyone’s eyes were on the screen to see who crossed first. The computer would show Tanner Day crossing in first but as luck would have it, the computer did not count Michael Schoettler’s car. No one knew who won the race. The crowd would explode with controversy, perspectives, and opinions…. However, the only opinion that mattered was once again the veteran RD’s, Scotty Brown. With a bird’s eye view of the entire race and the ultimate decision going to the RD, Scott Brown gave the win to Team Associated/Reedy/JConcepts’ Michael Schoettler! 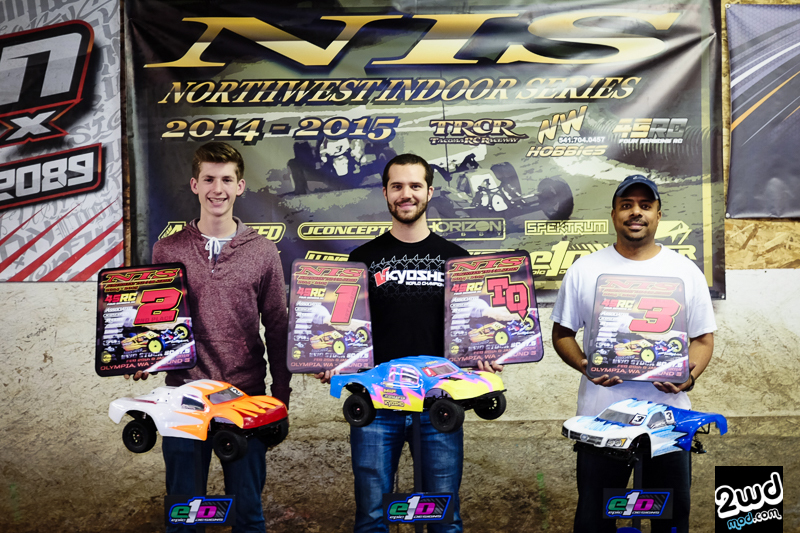 In a photo finish win and taking the overall was Michael Schoettler. 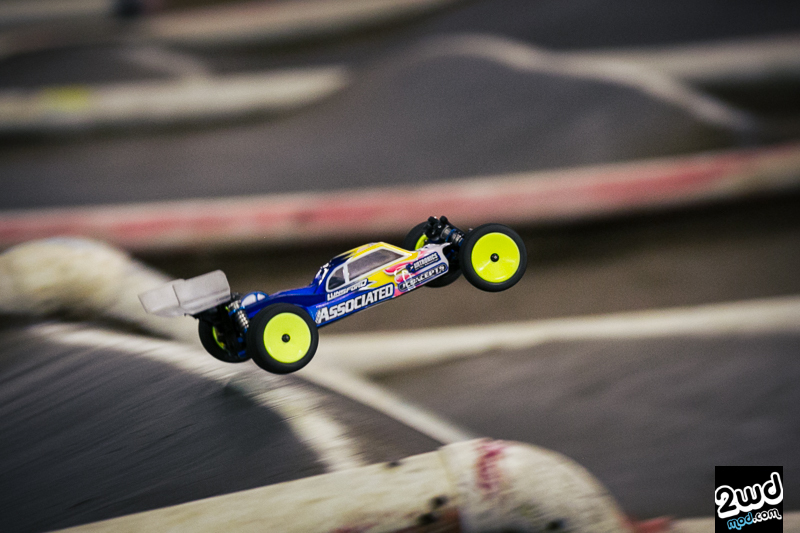 Giving his all and his best race to date, Kyosho/Orion/JConcepts’ Tanner Day would finish in a valiant 2nd and Schumacher’s Mikey Brown in 3rd for A2. Unfortunately, the entire crowd wanted to see it go down to A3, but after winning A1 and A2, Michael Schoettler was done and being respectful to the rest of the racers in the class to not screw up their points, watched from the sidelines as the rest of the 2wdMod class would battle for final positions in A3. 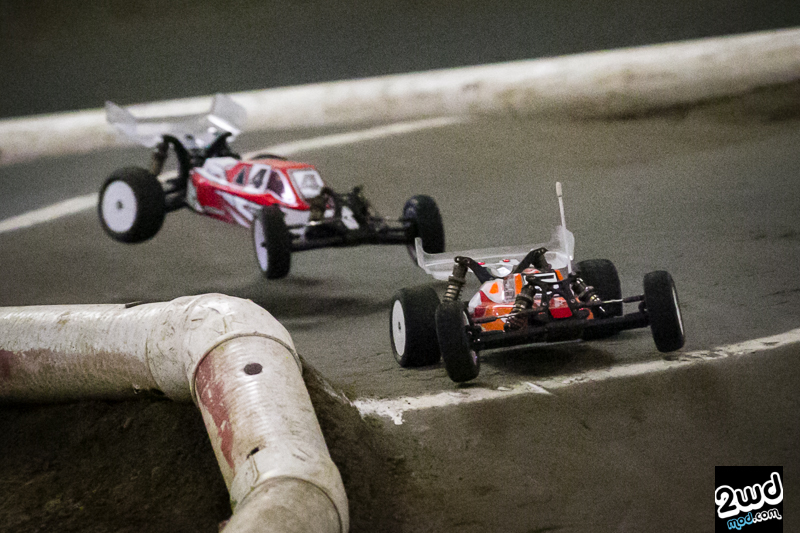 Without Schoettler in the field for A3, Kyosho’s Tanner Day would dominate the field putting in hot lap after hot lap. 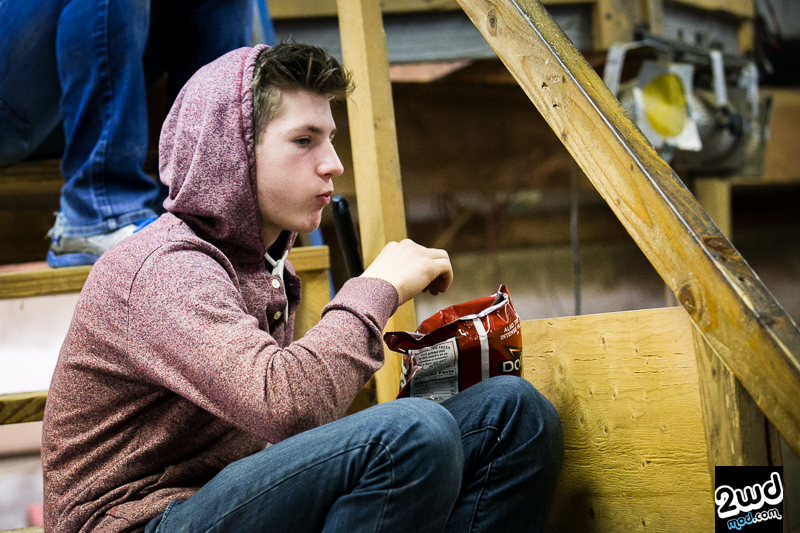 Upset and emotional from his A2 loss, the young Oregon native would build a comfortable lead and gap the field. While even making mistakes towards the end of his run after an emotional roller coaster weekend, Day still won A3 by a commanding 6.5 seconds and seal up 2nd place overall with Mikey Brown taking 3rd. 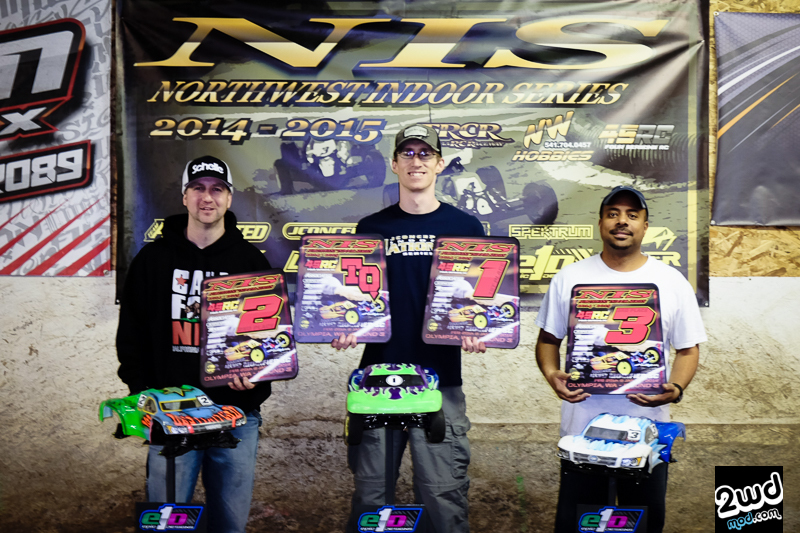 The NIS rd 3 has shown some of the most exciting racing to date with epic battles not just in 2wdMod, but in all classes this weekend. I’d like to thank Mikey Brown and the 4seasons’ crew for classic ‘battle’ track that was full of excitement, a photo finish, and mega controversy. Emotions were high and passion everywhere. That’s what I love to see! 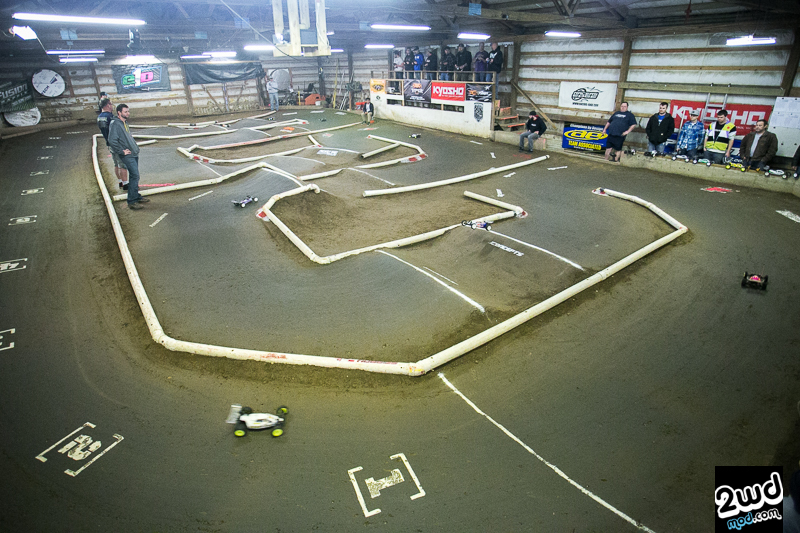 I can’t wait till the finale in Tacoma on March 28-29 @Tacoma R/C Raceway. Also, once again, thanks to Scott Brown for putting together this awesome series for all of us to showcase the speed of the NW. Enjoy a few photos from this race event below. I would also like to thank Anthony Honstain for the video uploads. Please follow his youtube channel for more videos around the NW and more. 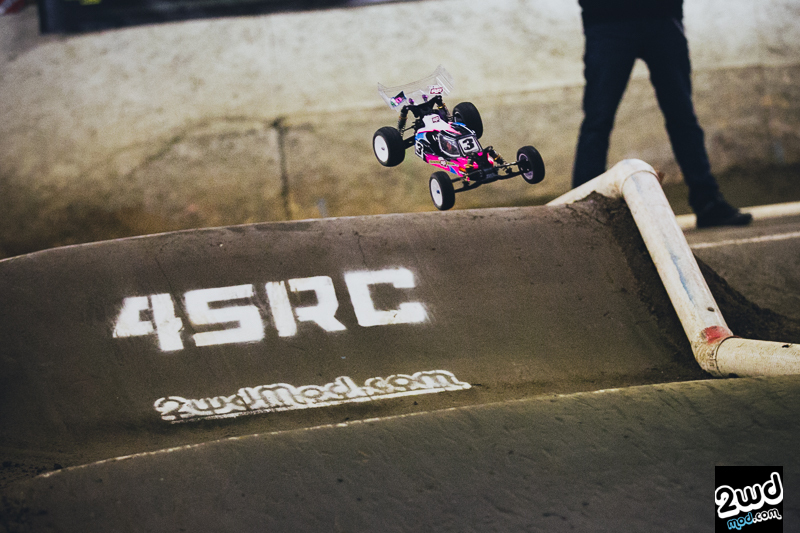 Tags: 1/10th, 22, 2wdmod, ae, fourseasons, kyosho, michael schoettler, NIS, offroad, olympia, race, RB6, rd, report, rnd, round 3, tanner day, team associated, thomas tran, tlr. Bookmark the permalink.